Millcreek Equine Veterinary Services offers primarily ambulatory care. We are pleased to be able to offer on farm facilities to our clients in our recently renovated barn and new paddocks. We are located at Silver Springs Farm on 10 acres in Guelph-Eramosa. 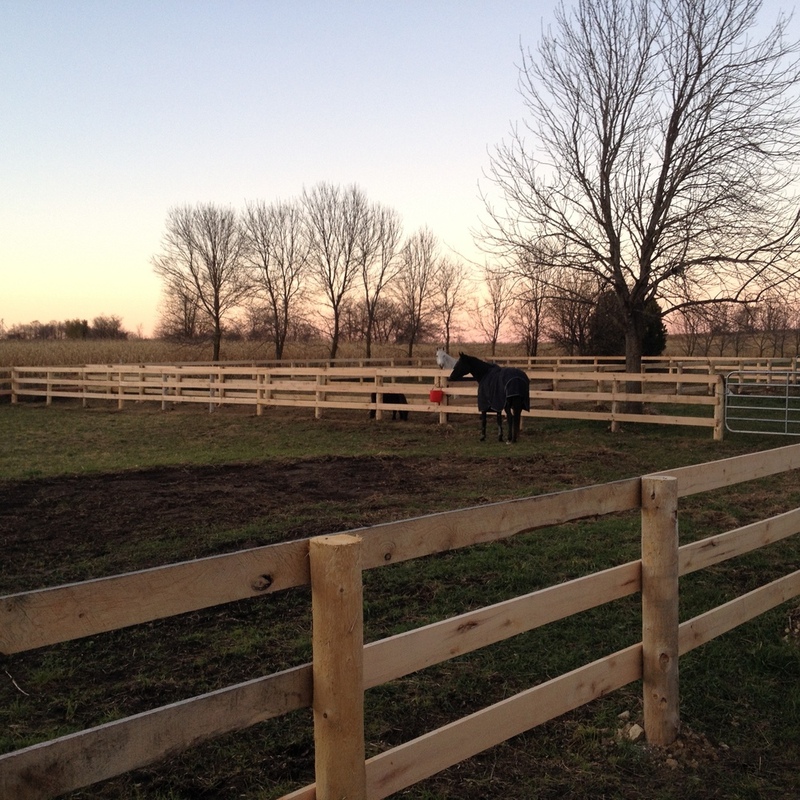 New stalls and paddocks were designed to maximize patient safety. Our 5 custom stalls feature mesh fronts with full mesh doors. Stalls can be modified into broodmare foaling stalls with ease. Turnout is offered in oak board paddocks. We have three rehabilitation paddocks for getting our patients on stall rest or restricted exercise outside. Our outdoor 80 x 180 sand riding ring is ideal for gait or performance exams. Copyright © 2015, Millcreek Equine Veterinary Services. All rights reserved.